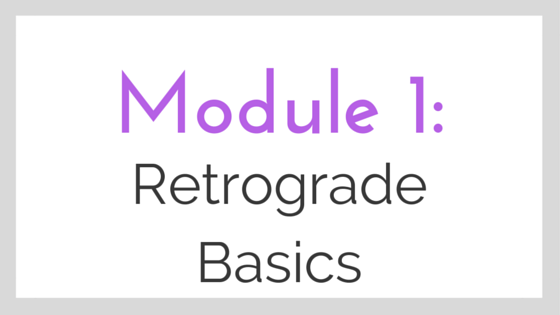 Retrograde Basics: What is a Retrograde? A planet is called retrograde when it appears to be moving backward from our vantage point here on Earth. It isn't actually moving backward, it only looks that way because of the way the planets move in relation to Earth. 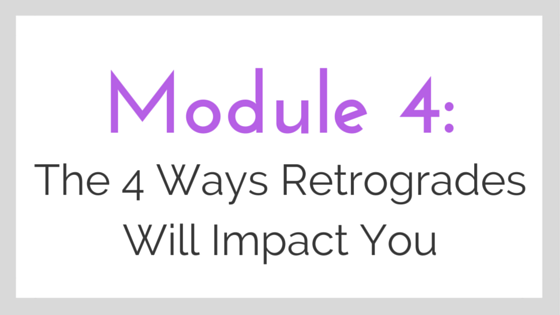 A planet retrograde isn't normal motion, so we often feel that things are off when it is. It can feel out of control at times, but if you learn to work with it instead of fighting against it, you can turn it around and make it work in your favor. 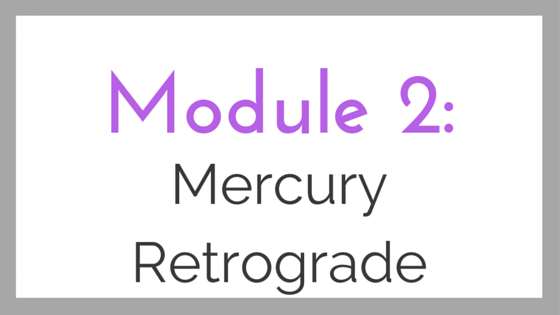 When you hear the term "turn retrograde" this means the start of the retrograde and the planet is now moving backward through the Zodiac. When you hear the term "turn direct" this means the end of the retrograde and the planet is now moving forward again through the Zodiac. 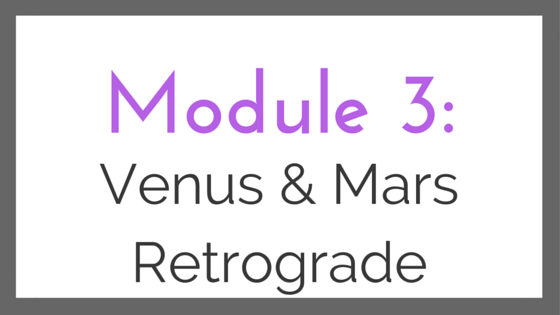 There's one other term with retrogrades you need to learn, and that's "stationing" - a planet is stationing when it's hovering in about the same location in the Zodiac for a period of time. Planets are usually stationing right around when they turn retrograde and when they turn direct. The Sun and Moon don't retrograde since the Earth orbits the Sun, and the Moon orbits the Earth. The outer planets (Jupiter, Saturn, Uranus, Neptune, and Pluto) retrograde for several months at a time each year, and since they're outer planets and retrograde for longer periods, they have less of an impact in retrograde.